Hello industrial-minded pilots! Today we will be talking mining. Many players consider it boring, but it is one of the ways to play EVE, and no one would be able fly any ships if not for the fearless miners, who keep drilling asteroids, despite being ganked left and right. Some time ago, to help my corp members, I have created an "Ore value chart", which shows which ore is worth most ISK, and thus is the best to be mined at any given time. Since I don't mine myself very often, I don't often check the chart. Moreover, to promote player trading between regions, high sec ores were not distributed evenly. Instead, some high sec ores like Kernite or Pyroxeres only appear in specific regions of space. CCP probably assumed, that only a handful of miners will be bold (or powerful) enough to mine in null, so the supply of high end minerals will guarantee their high price. In order to further reinforce this system, blueprint mineral requirements were set accordingly. From theoretical point of view (hi Game Theory! ), this made a very well designed crafting system: it offered meaningful choices (where and what to mine, and how much to risk) and also promoted player interaction by the means of trading. But no more. What was impossible to predict, was player behaviour. Firstly, game designers couldn't predict which blueprints will be utilized the most. Each blueprint has a specific material list, and the global production affects global demand for specific minerals, for example Mexallon. 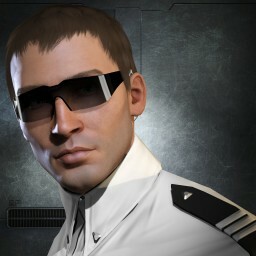 Secondly, right now mining in nullsec is most often safer than mining in high sec (hi, James! ), which affects the supply. All these small reasons ultimately affect the prices of the minerals and cause shifts in the table. High demand for Mexallon is what moved Kernite and Plagioclase to the top ten. In the end, this is good for EVE, because it makes mining a viable profession. I know people who easily PLEX their accounts, and they do nothing else but mining and occasional manufacturing. But Can I haz the Ore Value Chart?